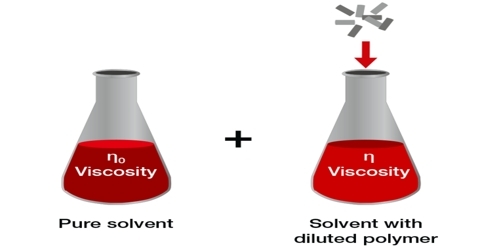 Quantitative relations between the concentration of the solution and the osmotic pressure were first derived by van’t Hoff in 1886. 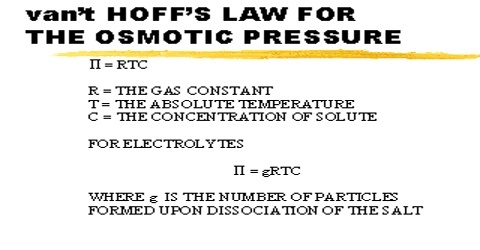 These are known as van’t Hoff’s laws of osmotic pressure. 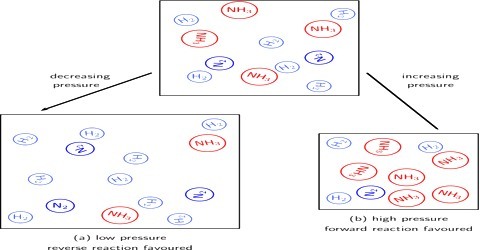 The van’t Hoff theory describes that substances in dilute solution obey the ideal gas laws. 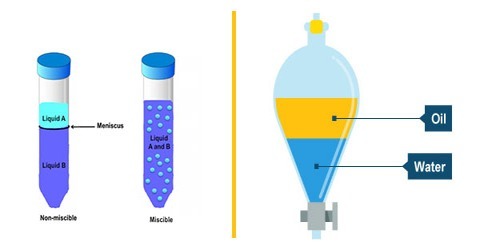 Where c is the concentration of the solution in mol L-1 and V is the volume containing one mole of the solute. 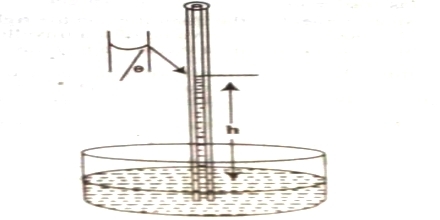 Equation (2) is similar to Boyle’s law for gas pressure. 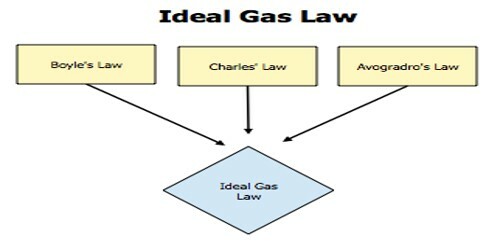 Equation (4) is similar to Charles’ law for gas pressure. 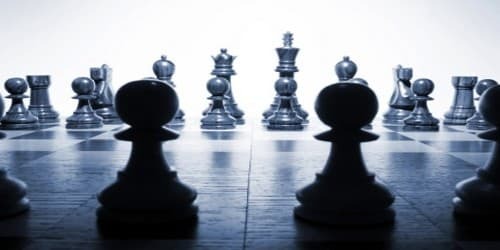 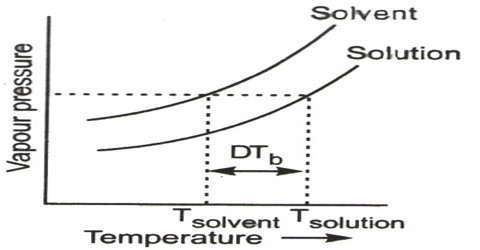 Third law: Equimolecular quantities of different solutes dissolved in such volumes of the solvent as to give the same volume of the solution have the same osmotic pressure at the same temperature. 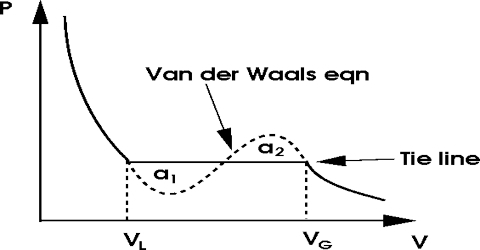 Laws of variation are used to combine of equations (1) and (3) to give equation (5). 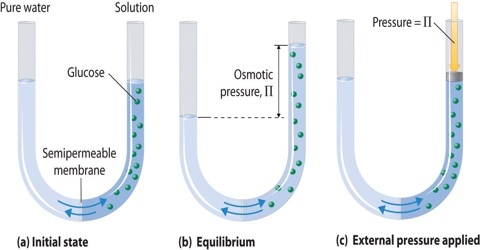 This is the general form of osmotic pressure equation. 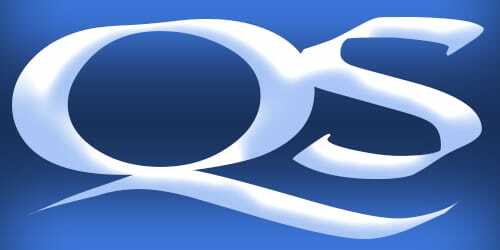 Thus the osmotic pressure equation is exactly analogous to the ideal gas equation including the numerical value of the constant R.